Choosing songs to teach from in the music room can be tricky business. With that in mind, I thought I'd share with you my favorite collection of songs to teach rhythm vs beat. This particular collection works very well for me and I think you'll enjoy it too! I'll also share other great ideas for these songs and rhymes beyond rhythm and beat. The Tracking Printables for Rhythm vs Beat are available to purchase, or you can grab your own free version at the bottom of the post! Fun fact about this song: a Burnie Bee is actually another name for a ladybug! Have students walk around in a circle with you, imitating train motions and walking in a steady beat. Each time you speak the rhyme increase the tempo to make the train go faster. The last time through, speak the rhyme slowly as the train pulls into the station. This keeps students engaged as they prepare rhythm and beat - they don't even realize they're repeating the song over and over and over (and over and over. . . . .). This song is great to use for keeping a steady beat with jingle bells. If you have a class set, pass them out and let the students play while they sing. If not, have the students sit in a circle and choose a few students at a time to be the "bell horses". They can prance around the circle and then choose new horses to take their place. So fun! Queen Caroline was the wife of King George II. This is a funny rhyme about hygiene - washing hair with oil certainly is an odd thing to do and kids like to hear about how different life was back in the 1700's. For this game, have students sit in a circle. One student sits in the middle with his or her eyes closed while the teacher hands a small button to someone in the circle. As the class sings the song, the button gets passed around in a steady beat. When the song is over, all students put their hands in their laps and the student in the middle tries to guess who has the button. This group of songs makes a nice collection for teaching the difference between rhythm and beat. Mix of song types: This particular collection has a nice mix of singing, spoken rhymes, action songs, games, and even a lullaby. It makes for a nice range of options when lesson planning. Double Dip: These songs can be used for teaching more than one concept, such as speaking voice vs singing voice. You can also pull them out when you teach your students quarter and eighth notes. 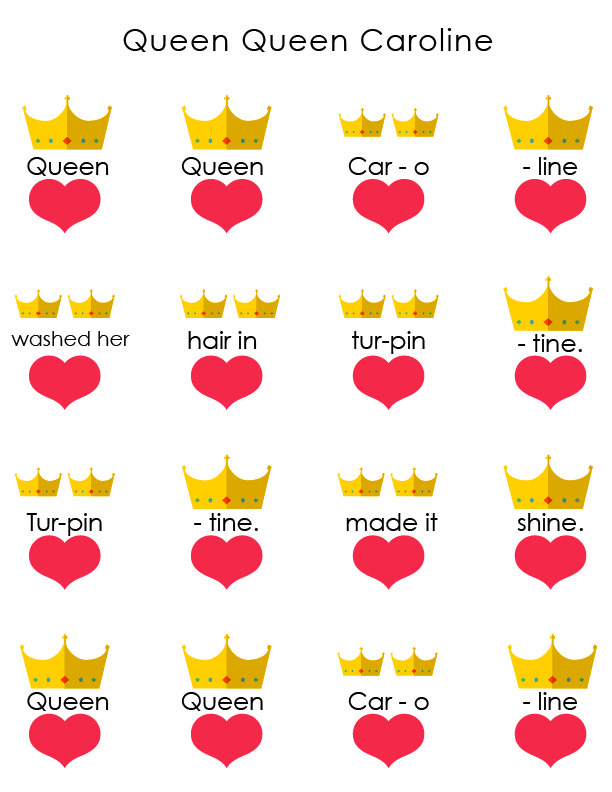 I've whipped up some rhythm vs. beat printables for you to use with these songs. You can find them in the Music Teacher Resource Library. It's completely free - you won't pay a dime and you can print off as many copies as you need. If you're looking for more tracking printables for rhythm vs beat, check out these! There are 112 pages of rhythm vs beat printables for you to use in your classroom. By Kindergarten and 1st grade children have generally mastered keeping a steady beat. They can chant or sing in time, or keep a pulse on percussion instruments like rhythm sticks or tambourine. What often gets confused at this age is the difference between the beat and the rhythm of the music. Simply put, the beat is the steady pulse underlying the music the whole way through. The rhythm is the way the words go. Rhythm can be fast or slow or somewhere in between. The pulse never changes. Today we'll use two common rhymes for teaching this concept: Baa Baa Blacksheep and Hickory Dickory Dock. Speak the rhyme for your child in a slightly more expressive, sing-song voice than you would normally use to speak. As you speak, keep the beat with your students by patting on your lap. Once the rhyme has been chanted several times, your students can join in with you. It's important that they are very very comfortable with the chant. It's okay to take some extra time making sure they are comfortable speaking it by themselves. Invite your students to put their hands right next to their mouths and "catch the words" as they come out. As the two of you clap to catch every single syllable in the rhyme, you will be clapping out the rhythm to the song. These printables give you the option of practicing only one element at a time, or practicing beat and rhythm together. Pick which song you want to use. Then let your students choose if they are going to point to the steady beat, or "how the words go" (the rhythm) as you speak this chant. 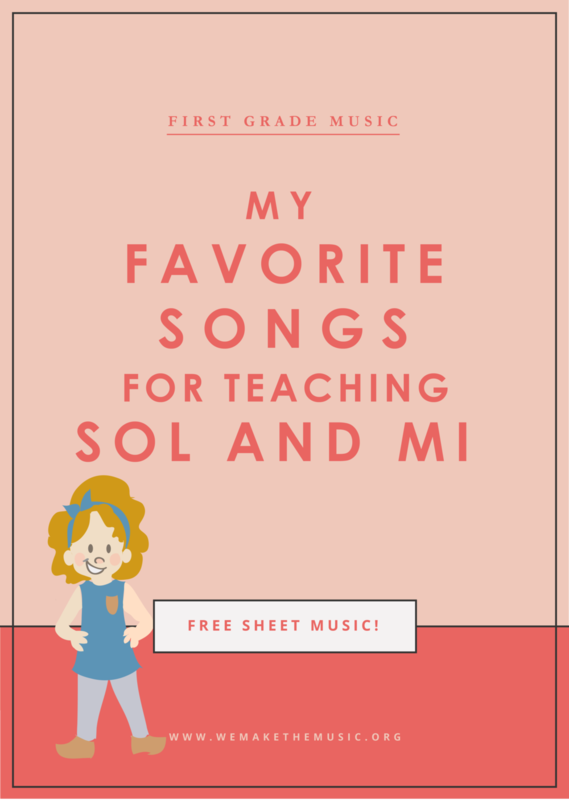 These worksheets are free in the Folk Songs page. Just scroll down to “Activity Sheets”. This is such a fun way to explore beat vs rhythm with your class!